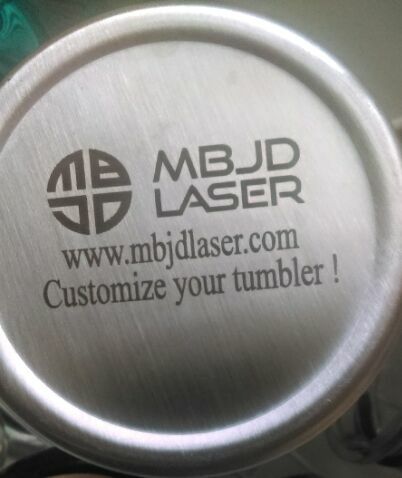 ﻿﻿﻿﻿Thank you for checking out MBJD Laser. 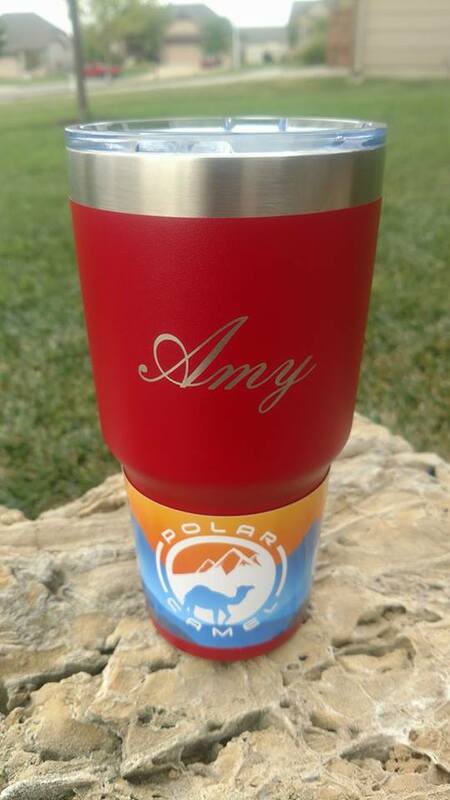 Our goal is to help you create personalized laser engraved gifts at a reasonable price with great service. We specialize in large quantity corporate gifts and would be happy to help you get what you need. Here at MBJD Laser we take pride in being a small family owned business where we take care of our customers and their needs. We do small one of a kind jobs and we handle large corporate orders as well. We take every job and treat it like it is the most important job we have regardless of how big or small. 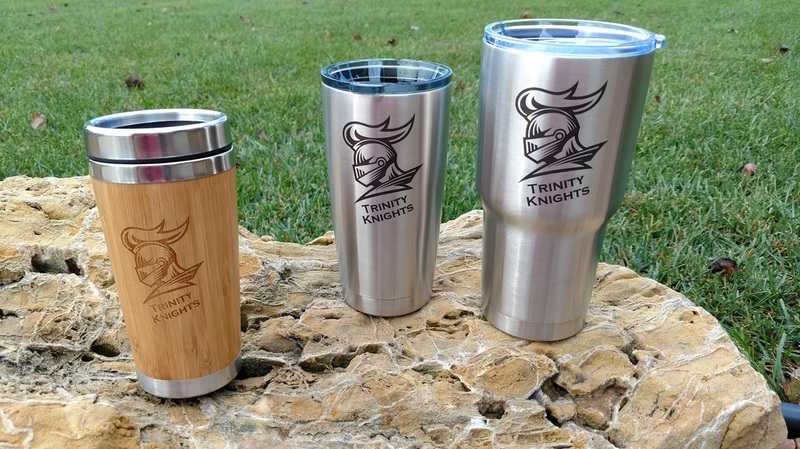 Some projects we have done recently are Aircraft Headrests, Bamboo Wine Boxes, BBQ Sets, all kinds of tumblers from YETI, RTIC, Polar Camel, and Ozark Trail. We also have lasered many bottles, coasters, cutting boards, pet memorials, acrylic photos and wooden plaques. We have even done aircraft / airplane parts including metal and leather. Just give us a call and let us help you with your next gift! We can add some "laser bling" to just about anything. LED Signs are a fun new product we are offering very soon. We should have these on our store within a few days. 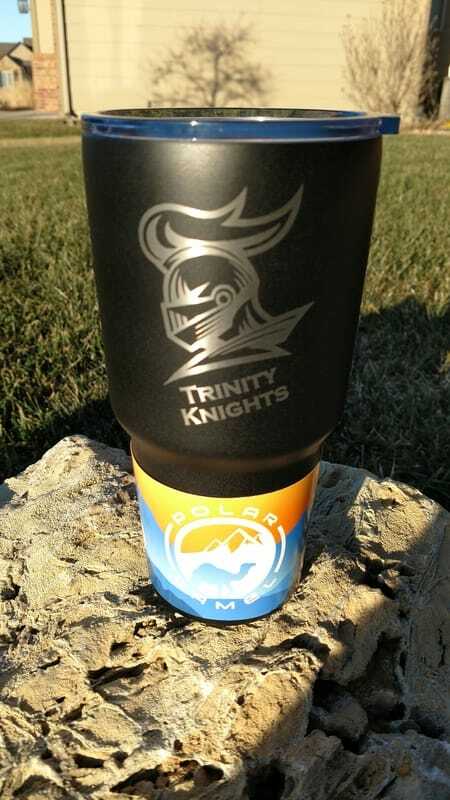 We can customize them to just about any shape and add just about any logo. Great for businesses, unique awards, or even wedding cake toppers. They operate on USB cable supplied, or 3 AA batteries. 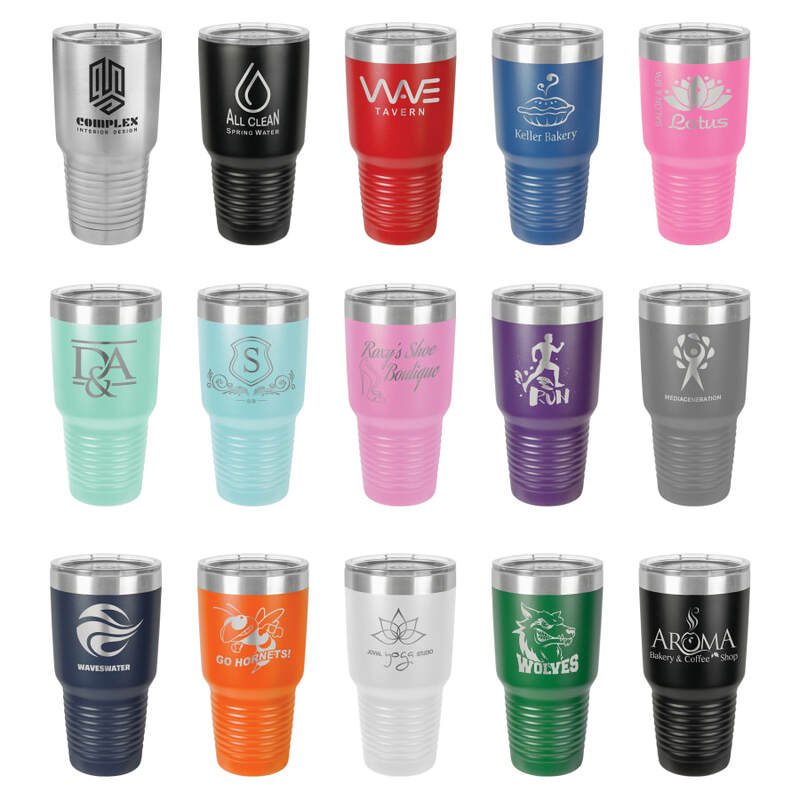 A large portion of our business is personalizing stainless steel tumblers! We laser engrave them all. 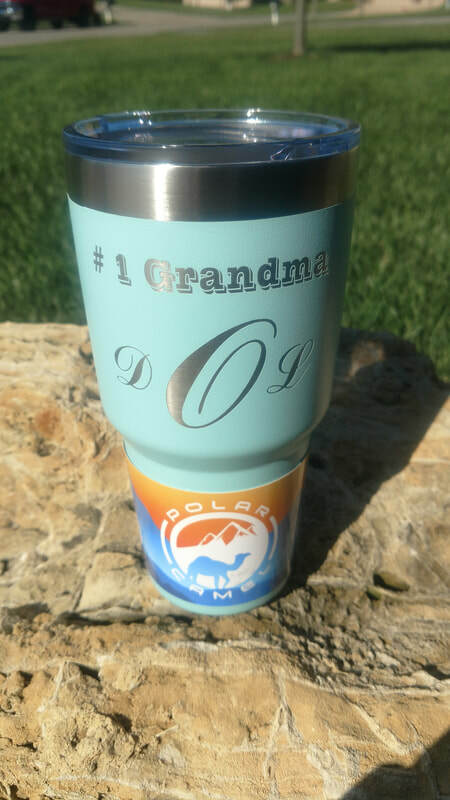 Check out our store for great prices on POLAR CAMEL TUMBLERS. 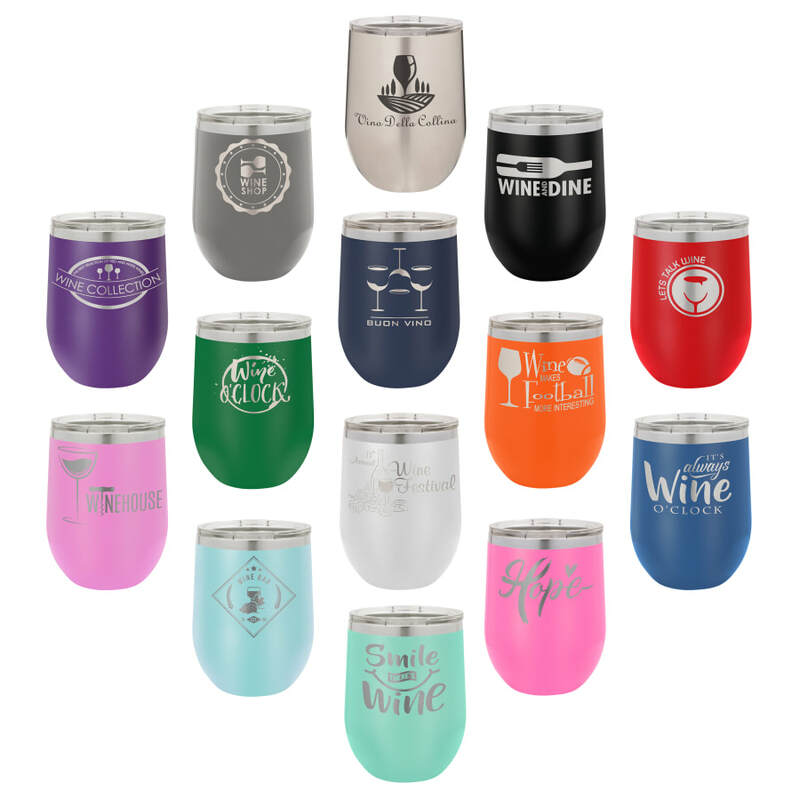 We carry the ever popular Stainless Steel, Matte Black, Red, Blue, Pink, Teal, Grey, White, Orange, Green, and Purple tumblers. There are no jobs to large, as we can do hundreds on short notice because we have multiple machines to handle those large jobs. Sign up for our e-mail list to get notified about new products, special offers, and more! We use 3 machines to complete most of our work. We utilize two identical Epilog Zing 24 inch CO2 lasers and one X-Carve CNC. All three machines do amazing work, and each machine has their niche jobs within our company. The best part is, with 3 machines we welcome any large quantity orders you might need. ​We have laser engraved on wood, painted metals, plastic, acrylic, granite, glass, and much more. Our X-Carve CNC is our newest addition and we are steadily learning all the capabilities it can do. Please take a look at our store and gallery tab for project ideas and feel free to call or email us for for specific questions and ideas that you might have.